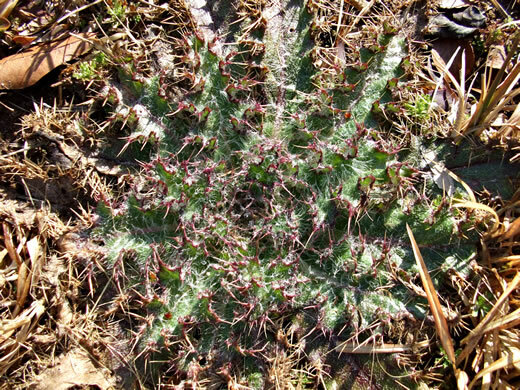 This upright biennial first appears as a densely spiny-leafed rosette, per Forest Plants of the Southeast and Their Wildlife Uses. 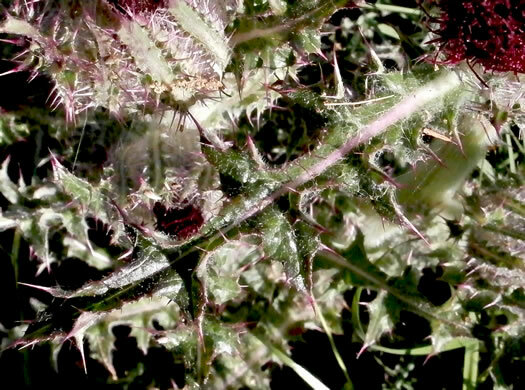 Leaves villous above, grayish arachnoid beneath, dissected, not decurrent, per Vascular Flora of the Carolinas. 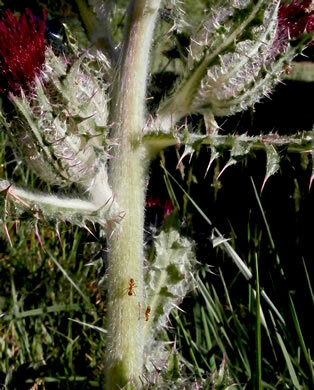 Outer and middle phyllaries appressed-ascending, margins setulose-ciliolate, per Flora of North America. 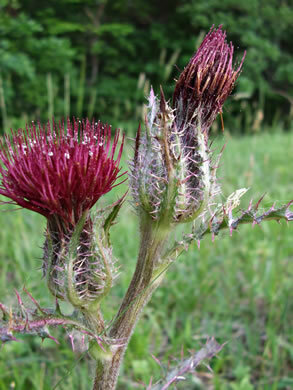 Heads 1-10, rarely more, racemose, per Vascular Flora of the Carolinas. 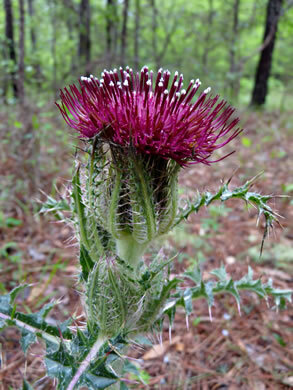 Leaves spiny on the margin, pinnately lobed, stalkless, clasping stem, per Guide to the Wildflowers of SC. 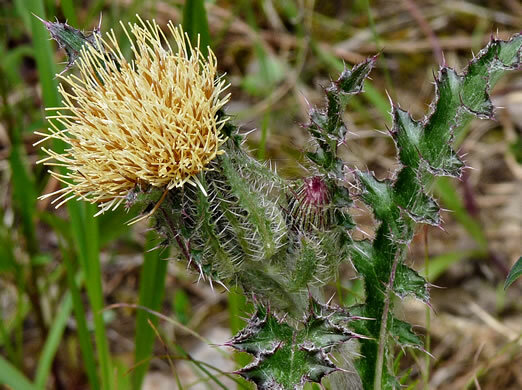 The yellow-flowered form is restricted to the Coastal Plain, per Guide to the Wildflowers of SC. 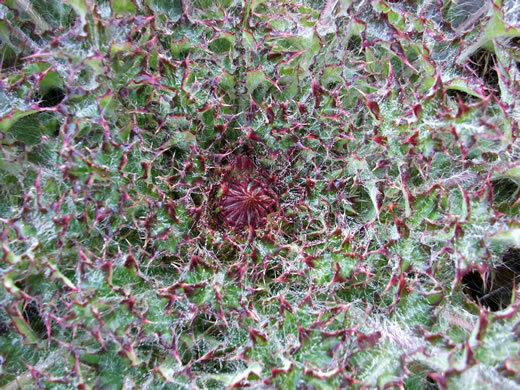 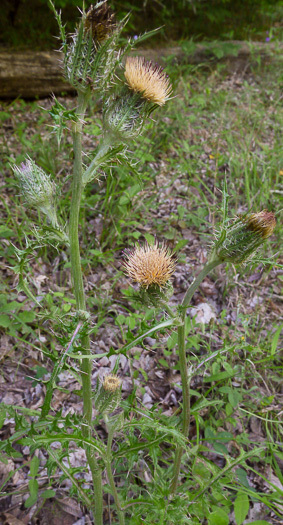 Flower heads more or less enclosed by an outer whorl of spiny leaf-like bracts, per Vascular Flora of the Carolinas. 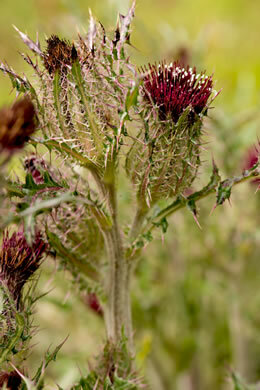 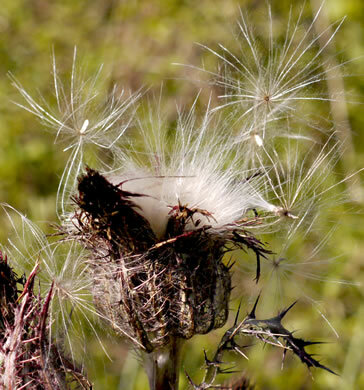 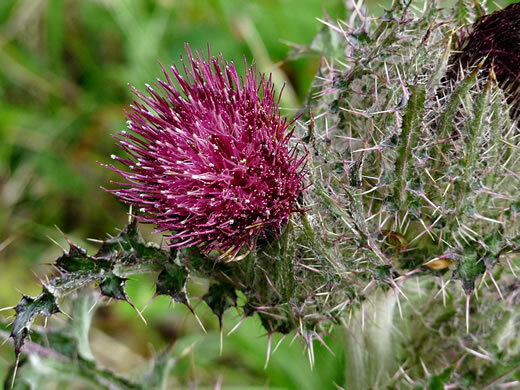 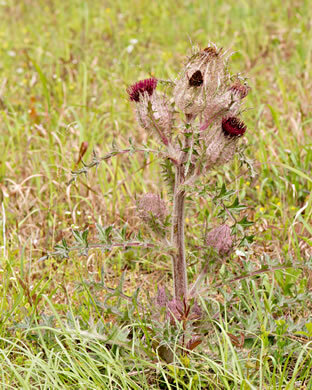 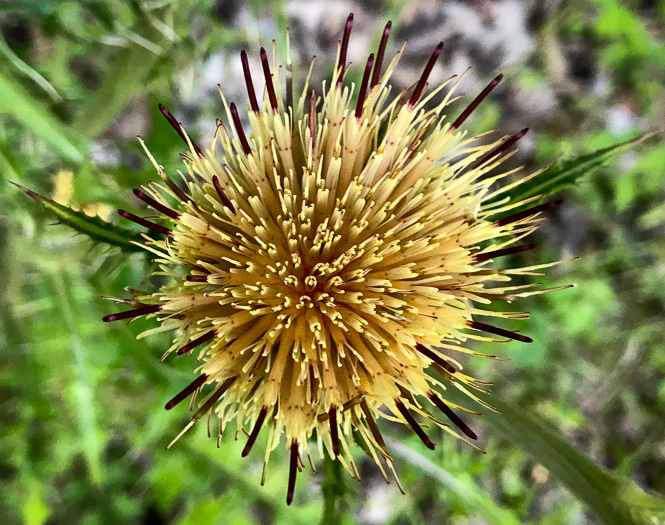 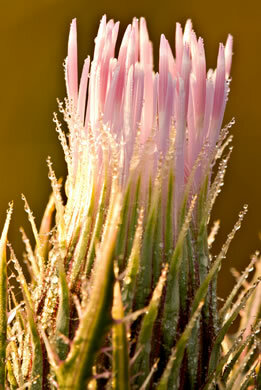 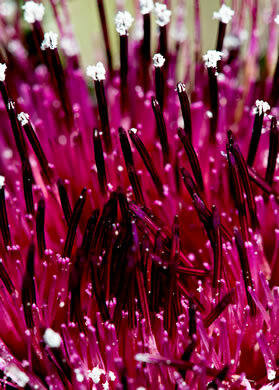 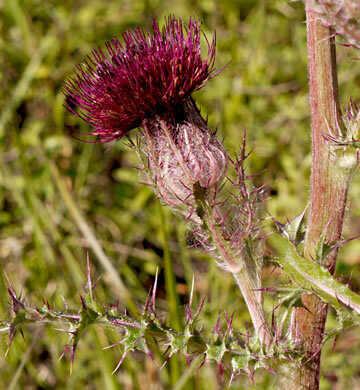 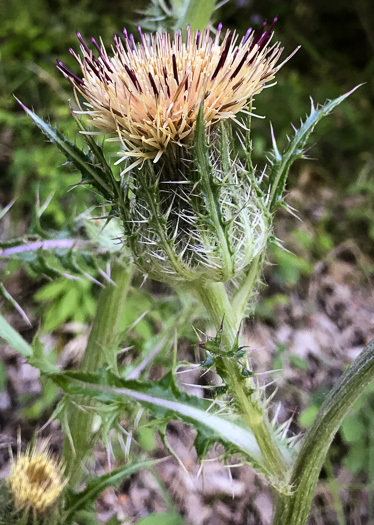 Yellow Thistle is a robust plant w large purple heads frequently > 2" across, per Wildflowers of the Southern Mountains. 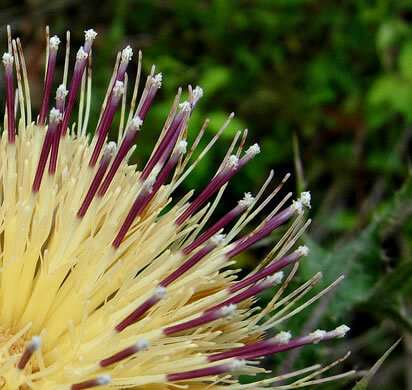 Yellow-flowered plants are found only in the coastal plain, per Wildflowers of the Southern Mountains.